There are 14 (fourteen) Police Stations and 6 (six) Out-posts under this district. Out of these 5 (five) police stations are manned by Inspector of Police and the rest 6 (six) are manned by Sub-Inspector of Police. 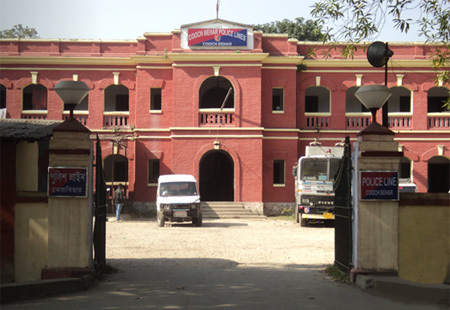 The Cooch Behar Police Lines is situated in the eastern side of Cooch Behar town with Jenkins School in the western side, the Police Hospital on the southern side and the District Correctional Home in the south-eastern side. 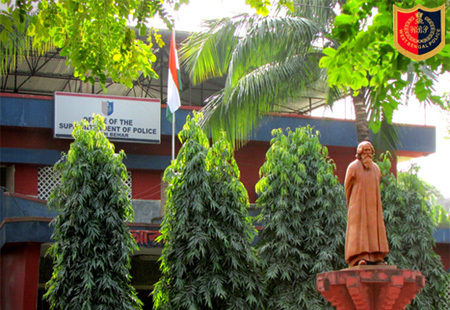 The Kotwali Police Station is situated on the northern side of the Police Lines within a few minutes walking distance.